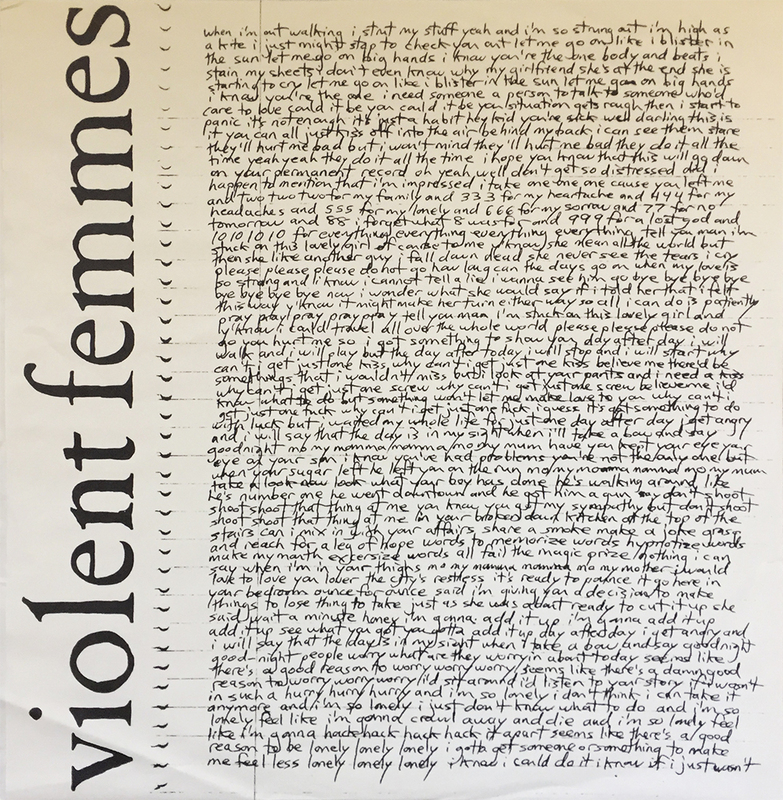 Presented here, with minimal fanfare, is side one insert to the 1984 debut from the Violent Femmes. The insert, in its entirety, covers all the lyrics to all the songs to this essential, and now 34-year-old album. If you don’t already own this, be sure your used copy includes the insert!